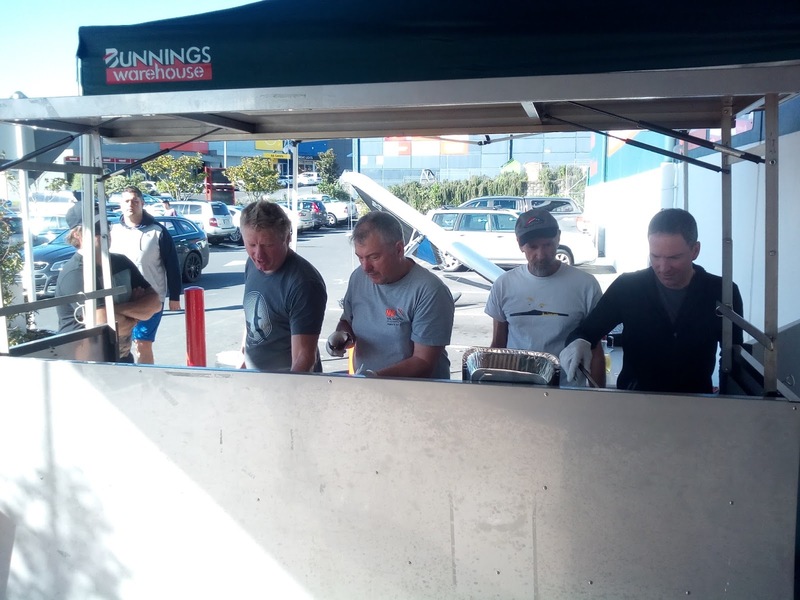 The Hang Gliding Comp Committee in association with the Auckland hang gliding club held a BBQ at Bunnings, Constellation Drive last Saturday to help raise money for our HG team going to the worlds in Brazil next month and to help promote hang gliding. A steady stream of sausage was sold all day and a third of the sausages sold were out gourmet sausages supplied by Naturally Organic with tomato relish or homemade Beetroot relish. People appreciated having the choice of organic beef sausages over the usual cheap ones. $414 dollars was raised and put into the teams account on Give a Little. 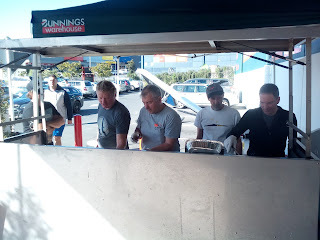 Thanks to the Sausage Sizzling team of Mark, Aaron, Neville, Les, Stephen Steve for cooking up the sausages. To date they have raised nearly $2000 to help them on their way to the worlds and NZ hang glider pilots have been very generous. They leave for Brazil on the 2 August, the worlds starting on the 6th.